Rafting in Nepal is a kind of adventure activities in Nepal. Basically, Nepal has many rivers for doing rafting including Bhote Koshi and Trishuli Rivers. However, this package includes the white water rafting in Trishuli River which is considered as the perfect site for one day rafting, though, some prefers to spend more days in this spot. The Trishuli River Rafting is wonderful opportunity to observe the natural beauty of white water and its surroundings like rock hills, greeneries, highways, gorges and so on. We provide you all the technical safety and security so, you can enjoy it with full of joy and happiness. It takes almost three hours to reach at rafting spot known as Chauraudi from Kathmandu. Rafting in Nepal package includes three hours time in the Trishuli River. During the rafting period, you can enjoy the virgin sceneries of the surroundings and also make a fun with rafting partner by throwing them into the water and also by jumping yourself. You can enjoy it very much because you are bounded with safety and security. After spending much time over there, your white water rafting takes you at Fishling which is the ending point. Then you drive back to Kathmandu and spend a night. Rising Adventure P. Ltd. is a young and the energetic adventure activities operator especially in Nepal. It has been operating Rafting in Nepal since many years. So, if you are interested on doing it, please join our White Water Rafting Package. You can contact us for more details. Note: If you have the strong desire to extend your trip by enrolling in other adventure activities, we help you in arranging according to your interests. 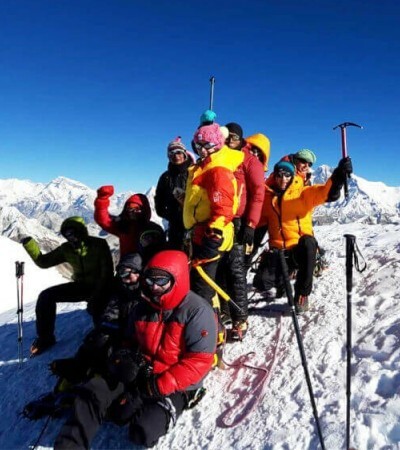 Otherwise, you can even join our Adventure Weekends Package which also consists of almost all the adventure activities that can be possible in Nepal including Trishuli River Rafting.